Right now is an exciting time in your life. You are either in the middle of college working toward a degree – or you have just completed a fundamental step on your path to a successful career. Quirk Chevy has teamed up with General Motors to give you a big discount on a new Chevrolet. The Chevy College Discount program is designed to give you reliable mobility at an affordable price, so that you can get to those important job interviews. The Chevy College Discount Program makes getting a new car easy. This program is designed to help you make a good decision that will last for years to come. Through the Chevy College Discount Program, you can purchase or lease a new Chevy vehicle at a discounted price that is lower than MSRP. If you are planning on holding on to your new car for a long time, then purchasing is made easy. 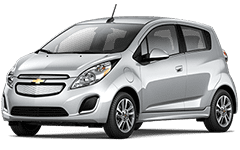 If you think you might want to upgrade from a Chevy Sedan to a Chevy SUV or even a Chevy Truck in a few years, the leasing option will help make this an easy transaction. The Chevy College Discount Program applies to current college students, nursing school students, and recent college graduates. In order to qualify, all you need is proof of your current enrollment or a diploma dated no more than two years prior to the purchase or lease of your new vehicle or vehicles (eligible members of this program may purchase or lease up to two vehicles per calendar year from this program). Don’t wait – Pick out your new Chevy Sedan, Truck, or SUV today and take advantage of the Chevy College Discount Program at Quirk Chevy in Braintree, MA!